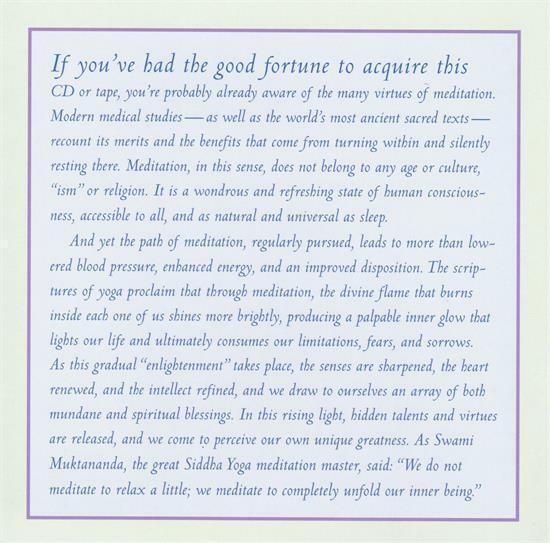 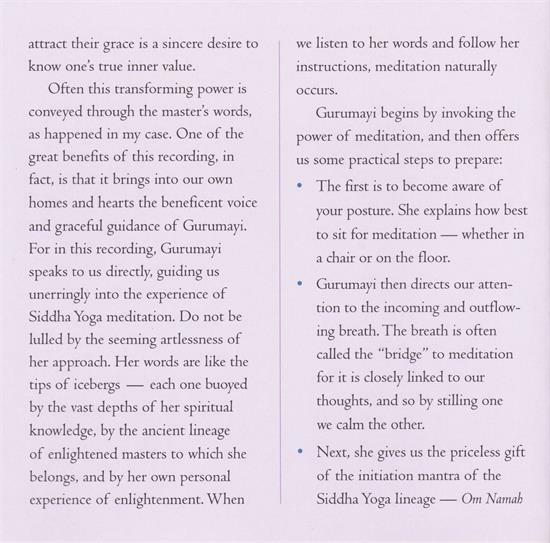 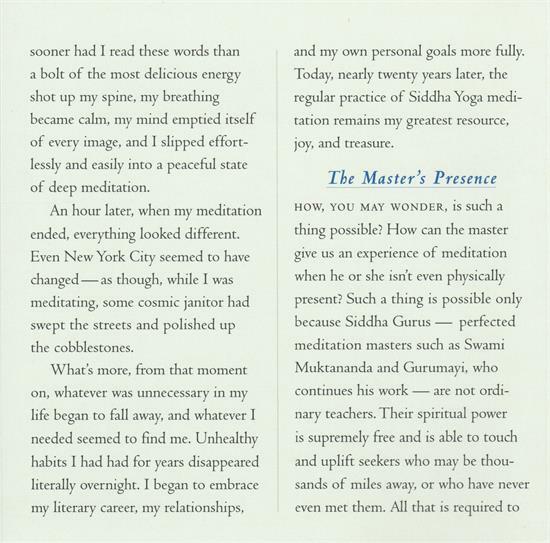 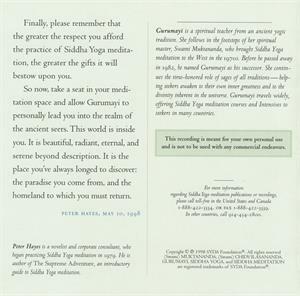 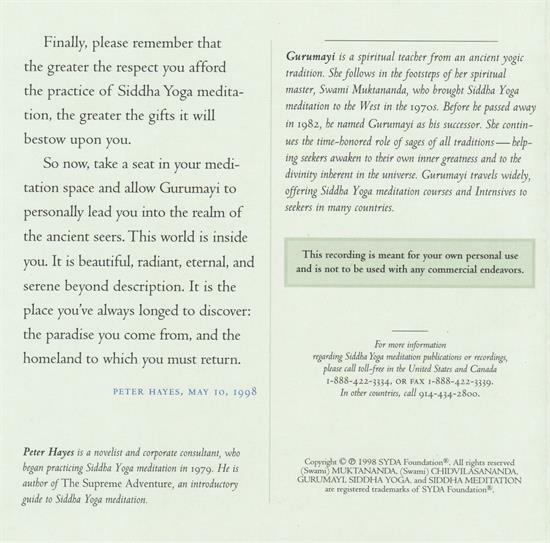 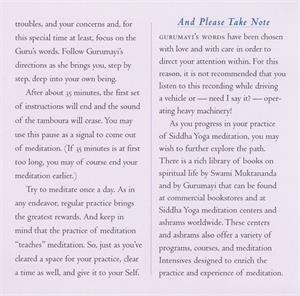 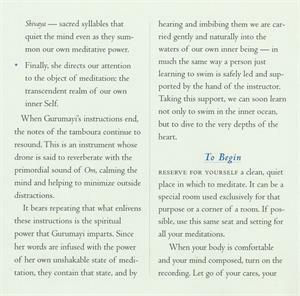 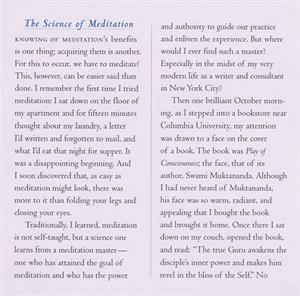 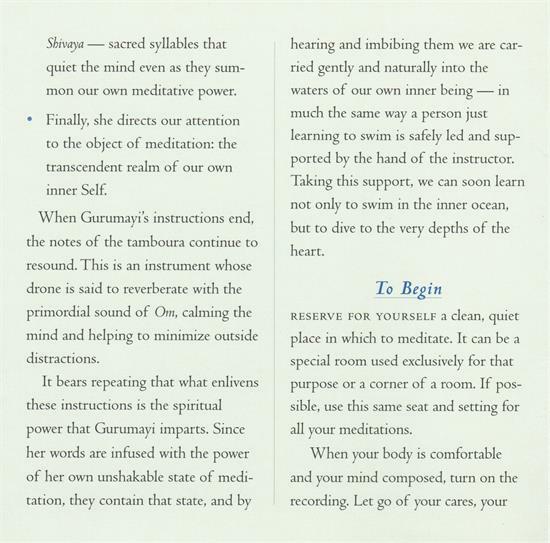 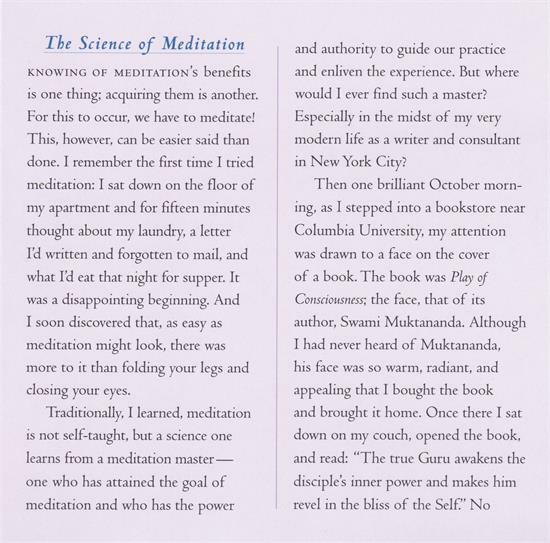 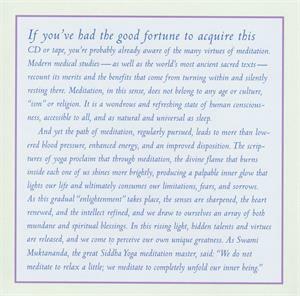 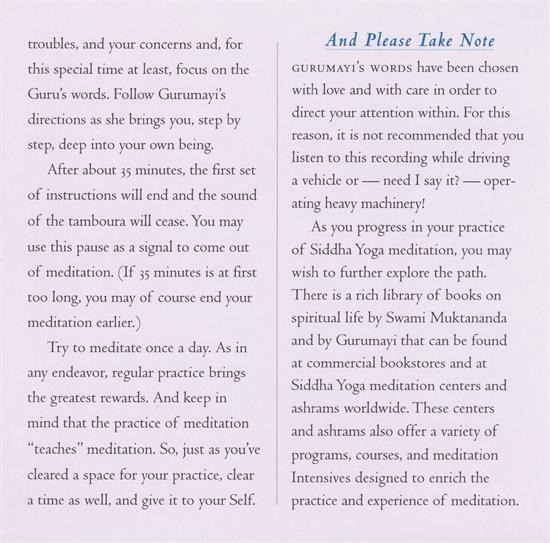 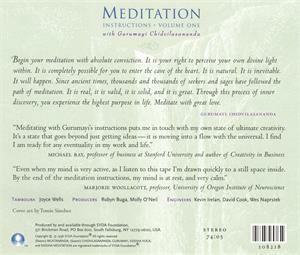 These instructions given by Gurumayi lead the meditator gently and naturally into Siddha Yoga meditation. 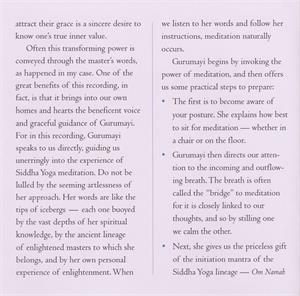 In each of the two meditation sessions, Gurumayi teaches meditation posture, yogic breathing, and mantra repetition. 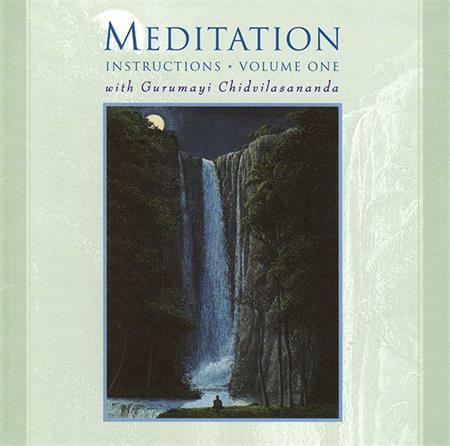 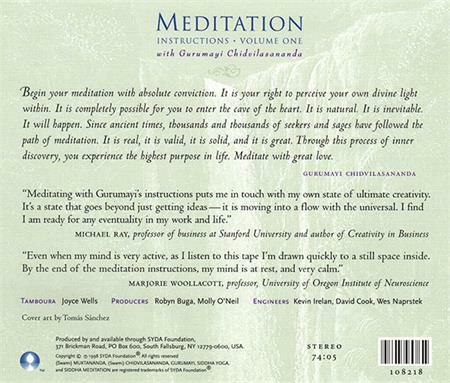 Following Gurumayi's instructions, each CD continues with a period for you to practice meditation, accompanied by the calming sounds of the tamboura.